The Great Wall of Calais: "At last, somebody is doing something!" I stamped on the slug. But I digress. My Lord the Bishop was called to a tip-top meeting at Lambeth, where the Archbishop wanted to sound out the entire bench on the vexed question of ‘unaccompanied children’ currently languishing in the hands of the French. Imagine the filth and squalor, the endless garlic and Edith Piaf blasting over the airwaves day and night! My Lord had no opinion on the matter until I told him what it should be. His Grace, however, was of the view that government has a moral responsibility to do something, like bringing the children across the Channel immediately. I’m not so sure government should be dabbling in morality – life, after all, is nasty, brutish and short – and preaching morality is the rightful metier of the clergy (and Mr. Blair), so of course I understand the Archbishop’s argument. But I am of the old-fashioned opinion that children are the responsibility of the parents. If these parents abandoned their offspring, they need to be prosecuted for child abuse and the children handed over to relatives in their home countries, failing that, orphanages. (Many an Englishwoman – of a certain class – has found herself in the Clink for leaving her children behind whilst taking a holiday on the Costa Brava). I know, I know… you are thinking what a softy I am. Well, I could have suggested apprenticeships down coal mines and up chimneys, but Christian compassion rules my heart. The Archdeacon is very excited to discover there will soon be a Great Wall of Calais, built at tax-payers’ expense to keep the unwashed hordes away from these shores. I pointed out the planned edifice is only going to be half a mile long, which means Johnny Foreigner can easily nip round the sides, but as usual he didn’t listen to a mere woman. I fear he has been well and truly Trumped. My French correspondent, the Comtesse de la Plume de Matante, informs me that several suspicious gas canisters were found in a vehicle parked close to Notre Dame. Thank goodness the jolly gendarmes nipped the dastardly plot in the bud – if indeed is was such a plot. Blowing up cathedrals is simply bad form, but it reminded us, here in bucolic Barchester, of the need to be vigilant. With Mustafa Fatwah’s Curry emporium only a street or so away from the Cathedral Close, precautions are imperative – his vindaloo is remarkably explosive. At Signora Neroni’s afternoon salon this week the chief topic of conversation was the imminent closure of both Houses of Parliament for repairs and refurbishment and the relocation of MPs and Lords to alternative accommodation. This generated much mirth, and an instant party game. 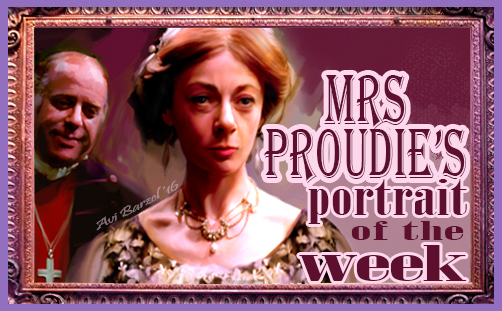 “Where would you put the politicians, Mrs Proudie?” asked the simpering Signora. The Signora then put the same question to Mr. Slope. “I’d put the House of Commons in Brighton. So much more convenient for all-nighters…” he snorted. “Oh Mr. Slope, you are a one!” giggled La Neroni. We have known this for quite some time. This refurbishment is going to make Lord Irvine’s wallpaper a mere bagatelle. Funny how they can find money for interior design and not for pensions. Laurence Llewelyn-Bowen is no doubt wetting himself at the thought of creating feature walls, shag carpets and MDF wot-nots, all in the best possible taste. Gracious me, look at the time! I will have to dash, there is much to be done. I have tracts to deliver and brasses to buff. The Archdeacon is waiting to take me up the Triforium, so I must get a move on. Adieu dear hearts until next time.